Coming in September 2015, the first book in a new trilogy from acclaimed New York Times bestselling author Rae Carson. 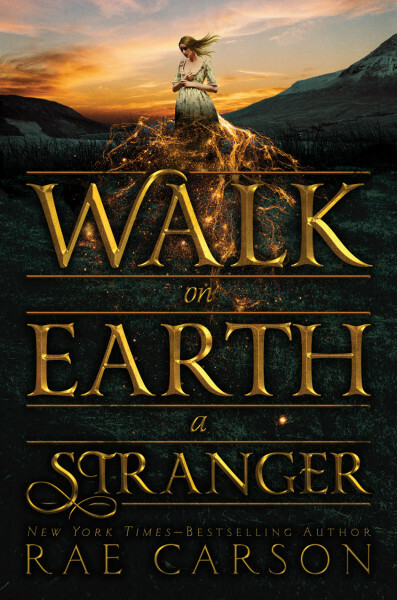 A young woman with the magical ability to sense the presence of gold must flee her home, taking her on a sweeping and dangerous journey across Gold Rush–era America. Once every century, one person is chosen for greatness. But the prophecy is vague, and Elisa, always overshadowed by her accomplished older sister, has no idea why she was chosen or how she will fulfill the expectations. Her future is unknown and her potential is tremendous—even if she doesn’t realize it. A king asks her to save his troubled country. A savage enemy hunts her for its own—dead or alive. A revolutionary asks for her heart. And in the midst of ferocious battles and harsh quests, Elisa will find herself. She will find the strength she’s always possessed. She’ll find deep and abiding love. She’ll awaken the power that only she can control. And she’ll face those who want to rip all of it away. 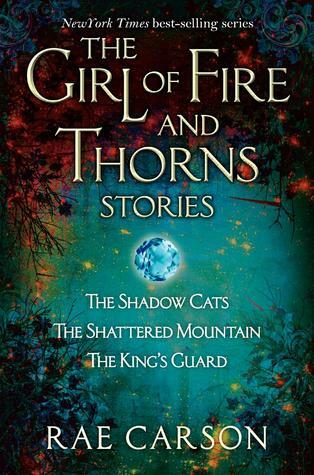 Lush, adventurous, and wrenching, THE GIRL OF FIRE AND THORNS is the first in a trilogy for fans of Kristin Cashore’s Graceling and Tamora Pierce’s Tortall books. Three novellas set within the world of Rae Carson’s epic New York Times‒bestselling Girl of Fire and Thorns series are available in print for the first time! Originally published digitally, each story centers around a character vital to Elisa. Before Hector became commander of the Royal Guard and Elisa’s true love, he was a young new recruit. 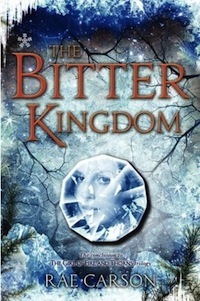 In The King’s Guard, he must prove himself—and he discovers a secret that he must keep forever. In The Shadow Cats, discover how Elisa and her older sister’s rivalry looks from Alodia’s point of view, and find out why Alodia agrees to marry her sister off to King Alejandro. In The Shattered Mountain, find out what happened to Mara before she becomes Elisa’s best friend and handmaiden. When her village is destroyed, she must lead the few young survivors to the safety of a hidden rebel camp. I haven’t read any of them but they look amazing and book tubers have worshiped it so I was hoping you could send me the trilogy. I’d be very grateful. I am loving the Lee Westfall series, you truly did your research about history and wove it well into a Fantasy setting with aesthetics of a Western genre. I wrote earlier stating I’m an artist/musician who has been making book-trailers and I had to confirm that your books about Lee Westfall are next on my list and I will compose good music for a book-trailer to pay tribute to your stories. As my last post showed, I’ve been arranging music themes from movies onto the guitar and mixing that music with popular music. So for your books about Lee Westfall, I am studying music from Western movies of the original Magnificent Seven (1960), the remake of True Grit (2010), Quigley Down Under, and music from Disney’s Fantasy that is a Western story using animals Homeward Bound: The Incredible Journey. Then those influences are going to be mixed with popular Country/Folk music. Red Sonja by Gail Simone which I will arrange the original movie theme onto guitar. Rebel Rising by Beth Revis which is tied to the star wars movie Rogue One so I will be arranging music by John Williams onto guitar. 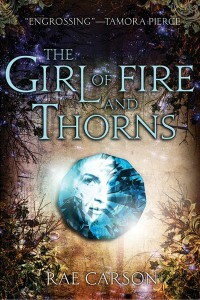 Where can I purchase The Girl of fire and Thorn book. 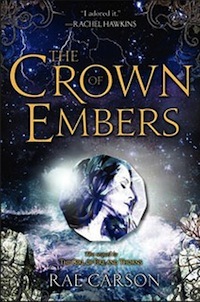 Have read first one and The Crown of Embers. Would like to read the rest. Hello, I just wanted to say that I love to read and have been reading 5-7 books a week for the past 25 years. With so many books passing through my consciousness I rarely take the time to write a note to the authors, but I was so filled with feeling reading your Queen trilogy, I just had to compliment you. Your characters are so compelling and likable, I was sad when the series ended. Great work! Why in the gold Seer Trilogy did you only make three books it is an amazing series even though i have only read the first two.